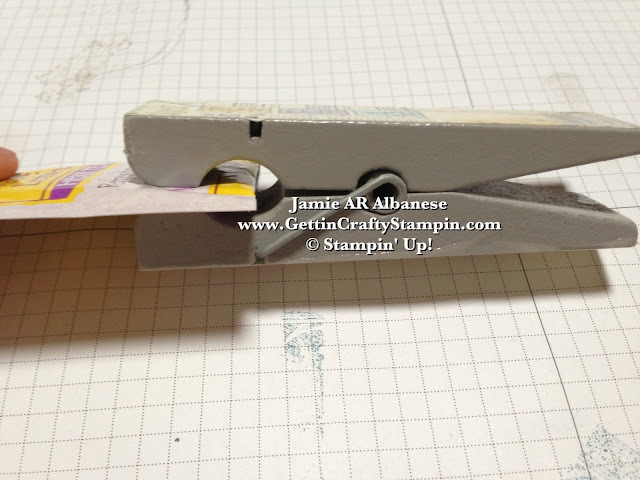 Getting Crafty with Jamie: Clip This! I have sitting on my stove my Nanna's old Paul Revere tea kettle. When I was young, until the day they moved into their Assisted Living Apt, I'd walk into her home and it'd gleam a stunning silver... she'd fill it up and we'd have spot of tea... she and I... as we discussed life. She was a tea lover and passed this love onto me. 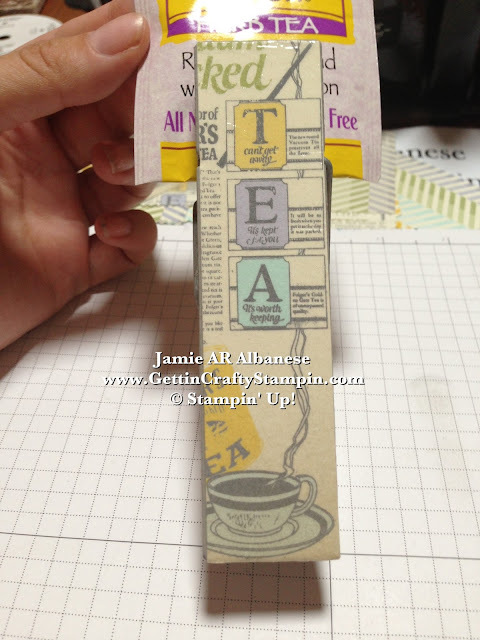 Our Kindergarten Teacher, too, is a tea lover... so creating her a gift would just haveeee to have a tea-riffic spin! 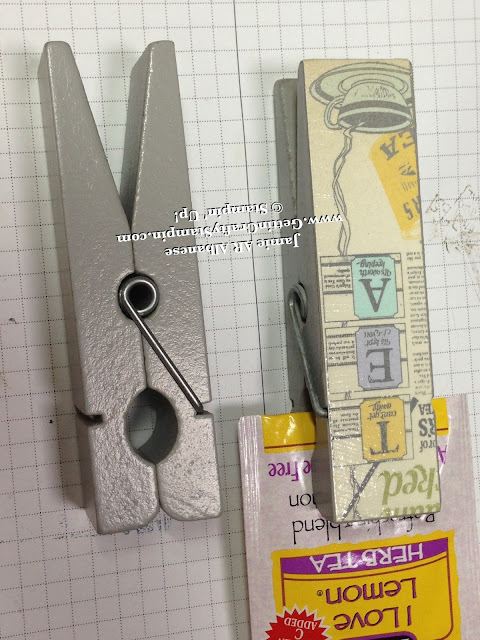 Whipping out our Afternoon Picnic Designer Series Paper (#131390) and Modge Podge for a crafty gift that clips it all together! Modge Podge comes in Mat and Shine and this Shine gives a glossy and finished look to this gift. 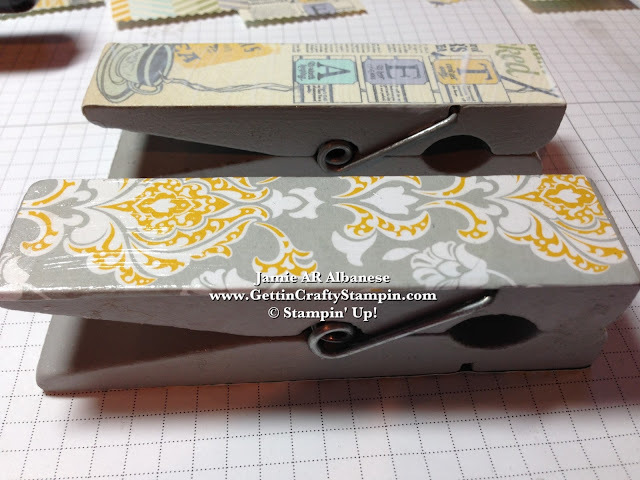 I purchased these painted wood clips in the Dollar Bin at Target... and knew that it'd be perfect as gifts - modified to fit different personalities when you have access to our amazing collection of Designer Series Papers!! Double Sided... for Double the Pleasure!! I love when you can appreciate something coming and going, lol. Standing up on it's two 'feet' it now holds notes and reminders in it's 'teeth/mouth'. Teachers receive lots of notes from parents to the school office... this is a fun way to hold them! Here it's holding a bag of tea... isn't that just tea-riffic?? These clips came in different colors... I grabbed a variety so that I had options to coordinate with our Designer Series Papers. 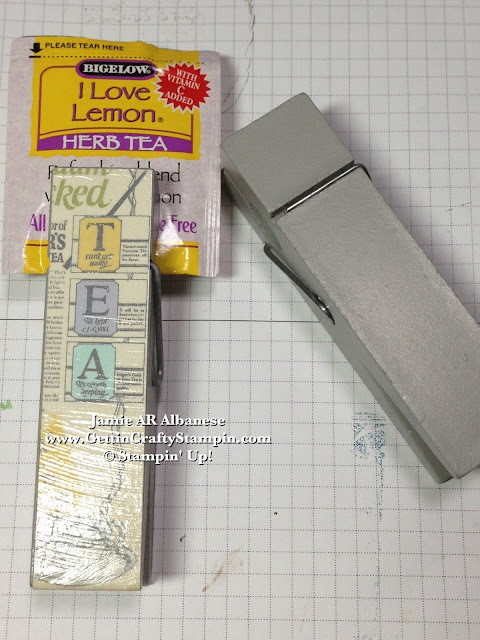 Here you can see how well the Eastern Elegance Designer Series Paper matches this clip, too! 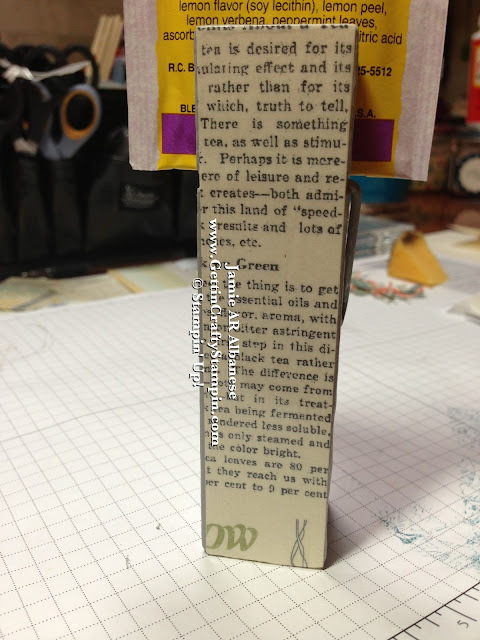 The Tea one is wet - so this project will show that the Modge Podge will be chalky looking but dry clear.. like on the Eastern Elegance clip! What do YOU think?? Leave me a comment and let me know. Pin, Email, Facebook, Tweet, Google+ and SHARE this and me... and Follow Me on those channels and YouTube, InstaGram, LinkedIn, and more! Come, Sit, have a Spot of Tea with me.... I love that the Wisteria Wonder color worked into the Afternoon Picnic mimics the purple our beloved teacher loves. It's funny how special people in our lives can be honored and remembered. I love personalizing gifts.. don't you? It's so much more special that way! Thanks for coming by... I post daily and hope to see you back and soon!